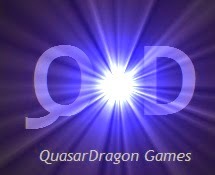 QuasarDragon: The Silicon Chip Inside Her Head Gets Switched to Read Free Fiction. The Silicon Chip Inside Her Head Gets Switched to Read Free Fiction. There's fiction from Black Gate and Mad Scientist Journal, flash fiction, audio fiction from Scott Sigler and Beam Me Up, and other genres (including Crime City Central). Not bad for a Monday morning. • At Black Gate: "The Dowry" by Peadar Ó Guilín. Fantasy. "Fiachra led her through the wizard’s garden and laid her down where the moonlight illuminated the perfection of her skin. She had made eyes at him all day as he stood at his canvass. He had despaired at ever finding a pigment to match her glory." • At Mad Scientist Journal: "Electricity (And How To Survive It)" by Adam Millard. Science Fiction. "My name, if you are not from the scientific community or a member of The Society of Mad Professors, is Professor Swick, and I am one of the greatest minds ever to grace the earth. I am the brains behind such intricate inventions as the clockwork bumblebee, and that thing that you use to separate toes for pedicures, that was one of mine, too. I am also responsible for the cyborg known as Justin Bieber, but that is one that I am not particularly proud of, and the less said about it the better." At Daily Science Fiction: "When the Selkie Comes" by Sylvia Spruck Wrigley. Fantasy. At Quantum Muse: "108" by Harris Tobias. At 365 Tomorrows: "Children of the Sun" by Desmond Hussey. Science Fiction. 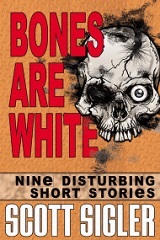 • At Author's Site: "Bones are White #9 - Passenger, Part 1" by Scott Sigler. Horror. • At Beam Me Up: "Against the Empire" by David Scholes. Science Fiction. "a new chapter in the Trathh series"
Audio at Crime City Central: "Revenge of the Snake Woman" by Beverle Graves Myers. Flash Fiction at Every Day Fiction: "Three of Troll" by The Sisters Hipstergrimm. Non-Fiction at Project Gutenberg: Extracts Relating to Mediaeval Markets and Fairs in 4England by Helen Douglas-Irvine. 1912.